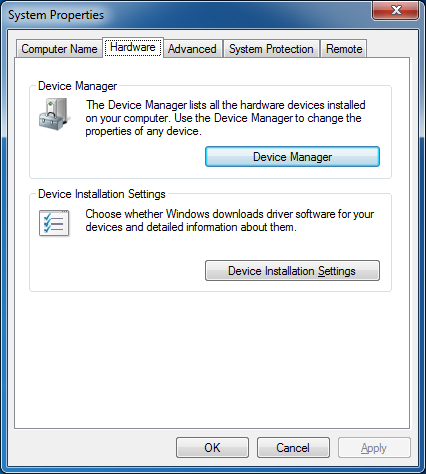 The process of checking the Windows Update Web site for device drivers can take several minutes or fail entirely if providing Windows updates from an internal server. This can be frustrating in a hot desk environment where the user will regularly be connecting to different universal docking stations with DisplayLink. This issue is not specific to DisplayLink enabled devices; you will see this on any USB device such as USB Mice and Keyboards. However you can disable this behaviour for DisplayLink devices using the solution below. From this dialog select "No, let me choose what to to"
Open Group Policy Management Editor. In the navigation pane, open Computer Configuration\Administrative Templates\System\Internet Communication Management\Internet Communication settings. 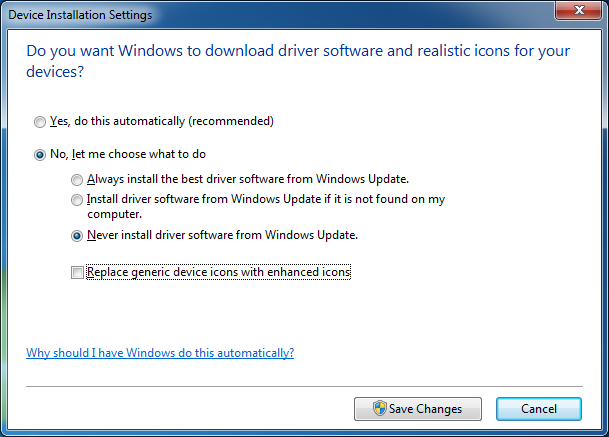 In the details pane, double-click Turn off Windows Update device driver searching.